This looks like an excellent event to attend. I strongly recommend this one to anyone who can make it out to the event. Windows 7 Security Tidbits – Windows 7 is coming and the boss is asking you about all those new security features. Perhaps you’ve heard some buzz about AppLocker? What’s this about DirectAccess connecting securely to your corporate network without a VPN? What’s up with BitlLocker To Go? In this fun and interactive session, Kai Axford, a Microsoft Senior Security Strategist with Microsoft’s Trustworthy Computing team, will demonstrate some of the new security features in Microsoft’s newest desktop operating system. Bring your questions and get the scoop on these upcoming Microsoft security technologies! Understanding and Preventing Insider Threat – Many analysts have stated that the Number One issue facing corporate customers today is the threat of targeted corporate espionage coming from within the organization. Join Kai Axford, a security strategist from the Microsoft Trustworthy Computing team for an entertaining and engaging session, as he shares real stories from the trenches about the risk this threat presents for both you and your customers. He’ll demo the means by which these attacks occur and discuss the mindset of the attackers. Don’t miss the chance to see how this is done! 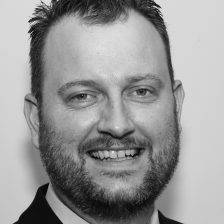 Kai Axford (CISSP, MCSE-Security) is a Senior Security Strategist in Microsoft’s Trustworthy Computing Group. A ten-year Microsoft veteran, Kai is responsible for discussing and recommending security solutions for both private and public sector organizations. In addition, he conducts Chief Security Officer councils worldwide, taking executive feedback and affecting change within Microsoft’s security products and processes. Kai started with Microsoft in 1999 as a Server Support Engineer and then moved on to become an IT Pro Evangelist, focusing on his peers through the Microsoft TechNet Events program. Kai has delivered more than 300 security presentations on a variety of topics, including digital forensics, security management, incident response, and computer espionage. He is a frequent speaker at security conferences, executive meetings, and business seminars around the world. He is finishing an MBA in Information Assurance and is a member of ISSA, INFRAGARD, ASIS, and the North Texas Electronic Crimes Task Force. He was the recipient of the 2006 “Rising Star” award from the Information Security Executive council. Kai is interested in security management and hopes to become a Chief Security Officer one day. Prior to Microsoft, Kai served as a leader in several real-world operations with the U.S. Army’s elite 75th Ranger Regiment. Originally from Wisconsin, Kai is a huge NFL Green Bay Packers fan. He is based in Dallas, Texas with his lovely wife, a new baby boy, and a (very wet) yellow Labrador. · Pizza and Pop will be served, Please RSVP to help us order enough of both. · Please note that no one will be admitted after 5:55 p.m.!